"The young have strength, the old knowledge / Tinerii au putere, batranii au intelepciune"
45 years after his death, Tudor Arghezi poetic manifesto "Testament" remains relevant to Romanian Poetry (of course, is my opinion) . 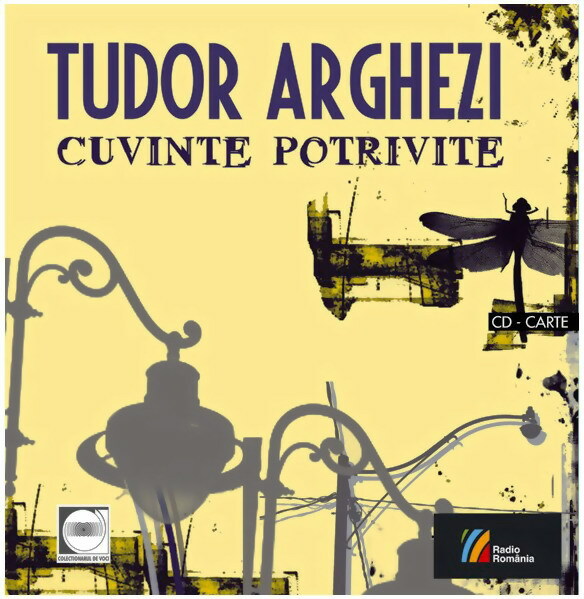 Tudor Arghezi (21 May 1880 — 14 July 1967) was an important figure of Romanian literature and poetry of the 20th century, his real name being Ion N. Theodorescu. 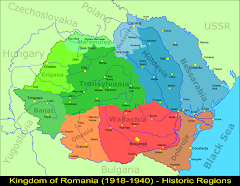 "One's who thinks himself and pokes the light/ Cel ce gandeste singur si scormone lumina (one of his poems)" works are abundant of powerful and shocking expressions, primitive words and unusual Romanian language patterns. 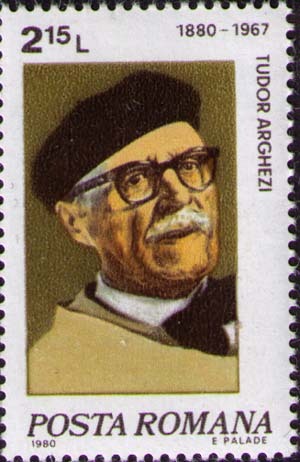 My teacher's (from college) favorite expression was "Arghezi's Opera was revolutionary for its era, with connections between the growth and the decay of Romanian language, promoting and reestablishing the aesthetic of grotesque". Over the years, I was impressed by his works published in "Fitting Words/ Cuvinte Potrivite", "Flowers of Mildew/ Flori de Mucigai" "The Black Gate/ Poarta Neagra" "1907- Landscapes / Peisaje", "Leaves / Frunze" or "Weeds/ Buruieni". "Man and Man / Om cu Om" can share knowledge, so it is a great pleasure to share its verses with English readers, too. My book is a bridge ladder across to you, my son. betrayed by bones spilled into my soul. The sudor of hundreds years of work. And the cradle for youth masters. Letting its strength flow into my thoughts. I've made it to invite or to swear injuries. Guarding over the summit of your duty. Made him dance like a stumbling goat. I've raised new and priceless beauties. The heritage of everyone's misdeeds. The fruit of pain and sorrow from our past. The princess is suffering into my deed. Like an assembly of soldering iron and pliers. Into the feelings buried beneath my ancestors' anger. Cartea mea-i, fiule, o treapta. Ea e hrisovul vostru cel dintai. Sudoarea muncii sutelor de ani. Facui din zdrente muguri si coroane. Am pus-o cand sa-mbie, cand sa-njure. Pazind in piscul datoriei tale. Stapanul, ca un tap injunghiat. Iscat-am frumuseti si preturi noi. Rodul durerii de vecii întregi. Domnita sufera in cartea mea. Ca fierul cald imbratisat in cleste. Cine a tradus poezia "Testament"? Vreau sa mentionez traducatorul intr-un articol.